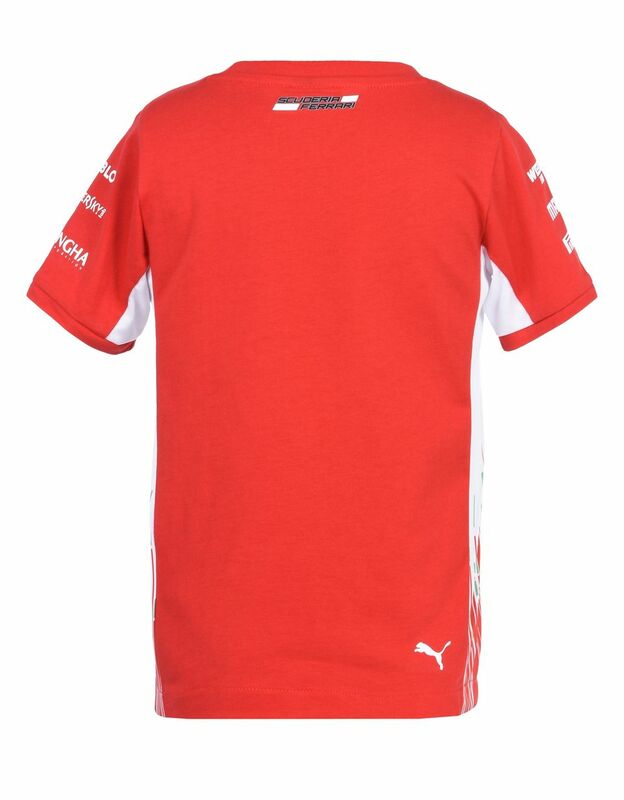 This Scuderia Ferrari Replica 2018 T-shirt for teens is a must-have wardrobe item for reliving all the unforgettable moments of Formula 1 racing. 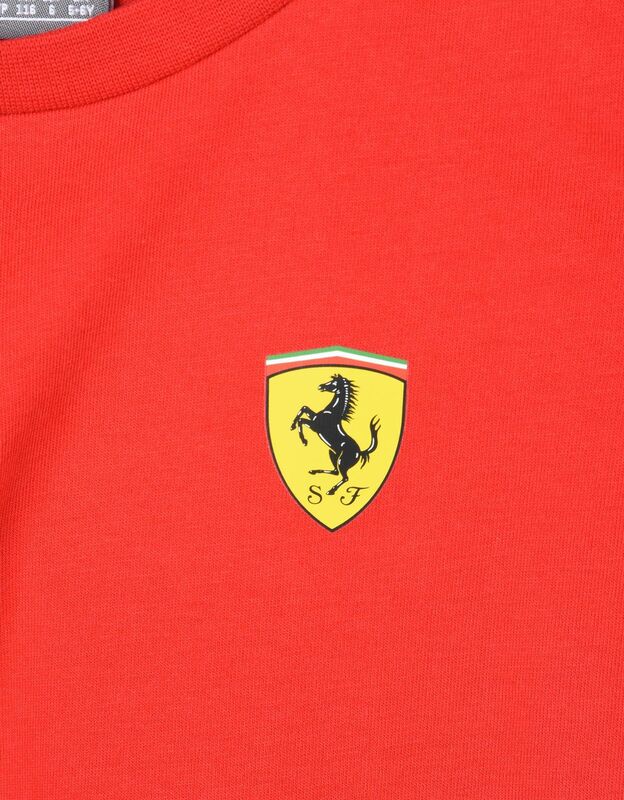 The new Scuderia Ferrari T-shirt is made from high quality materials and features a racing-inspired design. 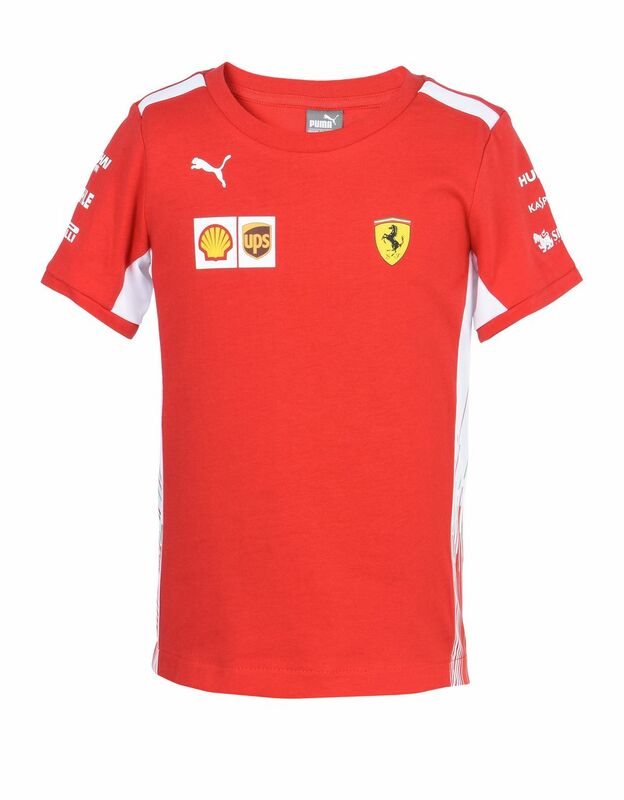 With a straight cut that provides a regular fit, this T-shirt designed especially for young fans of Scuderia Ferrari is decorated with the original 2018 Formula 1 team logos, in color printing or embroidered. The details of the contrasting inserts on the shoulders and the Italian tricolor graphics on the sides really make this piece stand out.